You are given a date. You just need to write the method, , which returns the day on that date. To simplify your task, we have provided a portion of the code in the editor. For example, if you are given the date , the method should return as the day on that date. A single line of input containing the space separated month, day and year, respectively, in format. Output the correct day in capital letters. 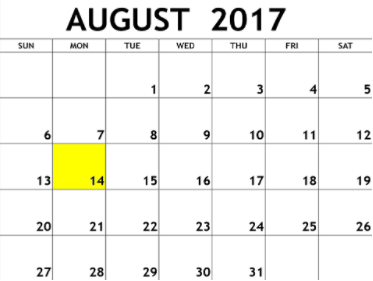 The day on August th was WEDNESDAY.